After its 140 million mile journey and just over 3 years of wandering around Mars, NASA’s Curiosity rover did something that people here on earth do every day: it took a selfie. Before you ask, No, the picture was not for the robot’s online dating profile. The low-angled image was actually a result of the rover extending its robotic arm to start a drilling project aimed at collecting samples from a rock formation known as “buckskin”. I guess that is understandable – drilling on Mars is a big thing, I’d take a selfie, too. Keep in mind: Curiosity isn’t just a little remote controlled car. It’s actually the size of a small SUV. According to Space.com, “It is 9 feet 10 inches long by 9 feet 1 inch wide (3 m by 2.8 m) and about 7 feet high (2.1 m). It weighs 2,000 pounds (900 kilograms). Curiosity’s wheels have a 20-inch (50.8 cm) diameter.” With a price tag of just over $2.5 billion dollars, taking selfies is far from all this rover can do. 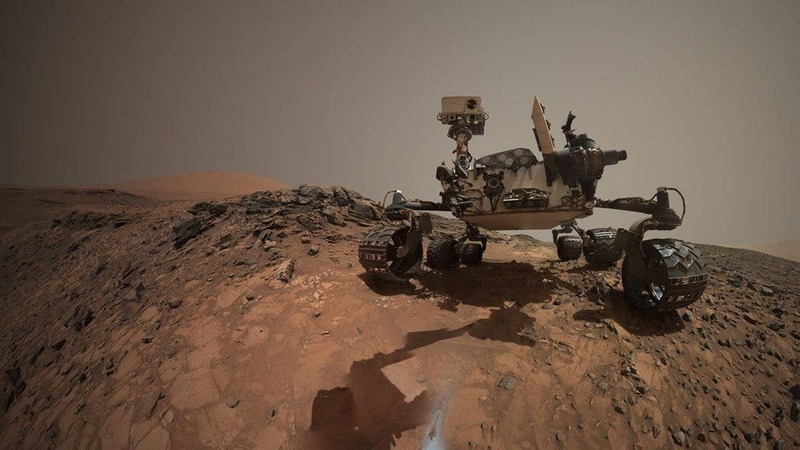 So just think about this next time you take 63 pictures of yourself in a mall dressing room trying to get the perfect selfie: A robot traveled 140 million miles, drove for 3 years, discovered significant proof of water on Mars, and it only took ONE selfie. Incredible, Crows as Smart as Chimps!